Based in glorious beachside Lennox Head . PLENTY OF TIME FOR SIGHT SEEING AS WELL AS GOLF. The weather in the months from April to December is absolutely ideal for golfers. Mild day-time temperatures around 20 -25 degrees celsius, Night-time temperatures rarely below 12 degrees, the lowest months for rainfall and best of all when it does – most rainfall comes at night! Stay 5 nights in 4 Star luxury accommodation at Lennox Beach Resort located right in the beachside village and surrounded by “Eat Street” – containing a huge variety of street cafes and restaurants. 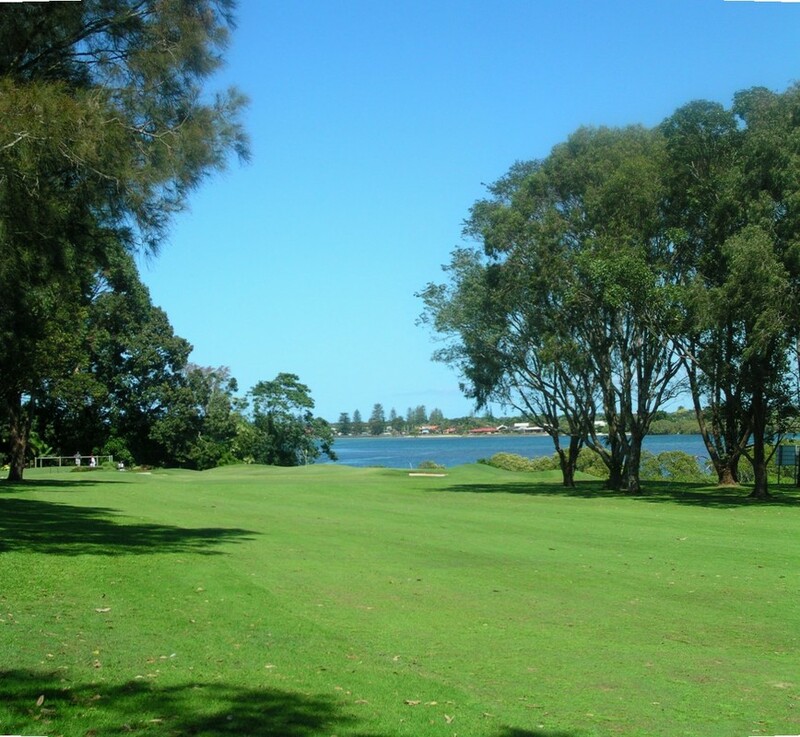 Visit some of Australia’s best regional golf courses in the Byron Bay area. All courses are 1st class 18 hole championship layouts. Ballina / Byron Airport is only 15 Minutes Drive time from the resort! Fly in on cheap direct flights from SYDNEY, MELBOURNE or NEWCASTLE! Winter to Spring airfares are amazingly low. Escape the Southern Winter and experience glorious Northern Rivers perfection! The Gold Coast Airport is only 85 klm by expressway from the resort. This airport has multiple domestic and international carriers and is a leisurely 1 Hour drive from Lennox Head. Take advantage of the cheap flights on offer. Car hire is cheap! - many "On Airport" operators advertise cars for less than $200 for 5 days (eg Toyota Corolla 5 door comfortably holds 2 people plus 2 sets of clubs and 2 bags). The golf courses are superb! The weather is just gorgeous! ​Fly into Gold Coast (*OOL) International Airport direct from many of New Zealand’s International Airports. AIR FARES HAVE NEVER BEEN LOWER and there are multiple carriers connecting the Gold Coast with direct flights from AUCKLAND, WELLINGTON, CHRISTCHURCH and QUEENSTOWN. (3 - 4 hrs flight depending on the airport – fares are usually available around $400 - $450 P/P return). 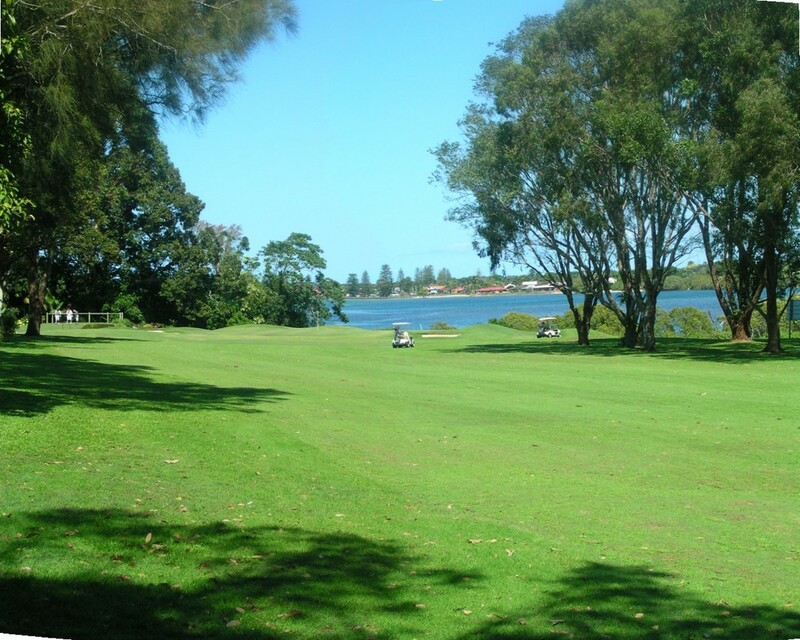 Lennox Head is a leisurely 1 Hour Drive down the Expressway from the Gold Coast Airport (85 klm). All Accommodation and Golf Bookings! A great package is the 5 day special arriving Sunday afternoon, golfing each day and departing Friday. Suitable for couples or same gender groups. Prices are based on a minimum of 4 guests arriving Sunday and departing Friday (5 nights). We are happy to quote for longer stays. Prices will vary according to the apartment size specified: (either a 1 or 2 bedroom layout). 4 people sharing 1 x 2 Bedroom / 2 bathroom fully self contained 4 star rated apartment for 5 nights and sharing a motorised golf buggy for 5 games of golf. 4 people sharing 2 x 1 bedroom fully self contained 4 star rated apartments for 5 nights and sharing a motorised golf buggy for 5 games of golf. 4 people sharing 2 x 2 bedroom / 2 bathroom fully self contained 4 star rated apartments for 5 nights and sharing a motorised golf buggy for 5 games of golf. 4 people sharing 1 x 2 bedroom / 2 bathroom fully self contained 4 star rated apartment for 5 nights in seperate beds (2 single beds in 1 bedroom) and including a sofa bed or trundle bed in the lounge room and sharing a motorised golf buggy for 5 games of golf. Please contact us with details of your group. We have various other options including 3BR apartments and options to add a pull out sofa or trundle bed. 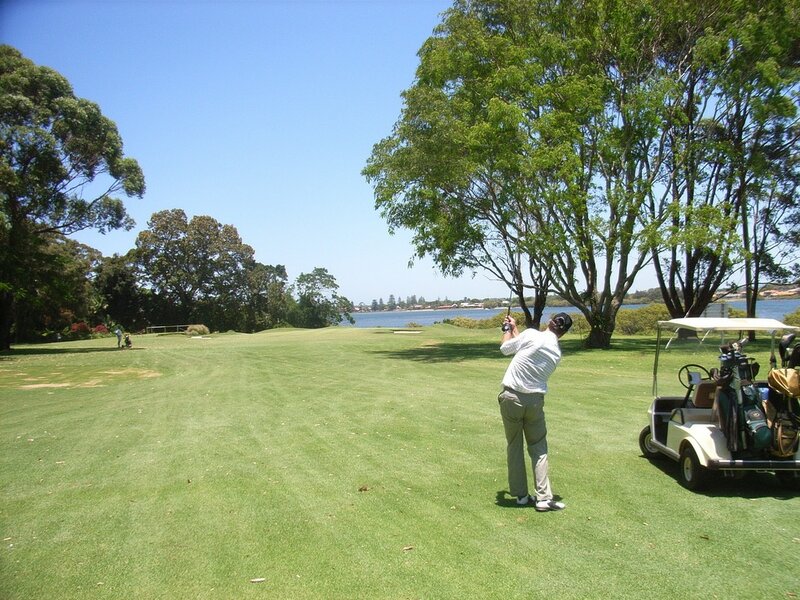 Golf packages with lessons from a PGA professional golfer can be arranged. Nb: All meals for the week are at the guest’s expense. Lennox Beach Resort comprises fully self contained, self catering apartments. Guests may prepare breakfast and meals in their apartment or eat in nearby cafes and restaurants. (2–5 minutes walking time away). Sunday - Arrive: Lennox Beach Resort - Sunday - check-in from 2.00pm. nb: If you wish to fit a game of golf into your schedule today we can arrange it for around $50 per head with choice of golf course subject to availability. ​ heated swimming pool. Walk to Lennox Point to watch the surfers, hang gliders and winter whale migration. Monday – 8.30 am Depart Lennox Beach Resort. Scenic drive via Bangalow and Mullumbimby. Wednesday - 8.30 am Depart Lennox Beach Resort .